With fall in the air, friends and families are together enjoying football games, festivals and other outdoor events across the U.S. In the middle of all the action is the new (and improved) Coca-Cola Zero Sugar. 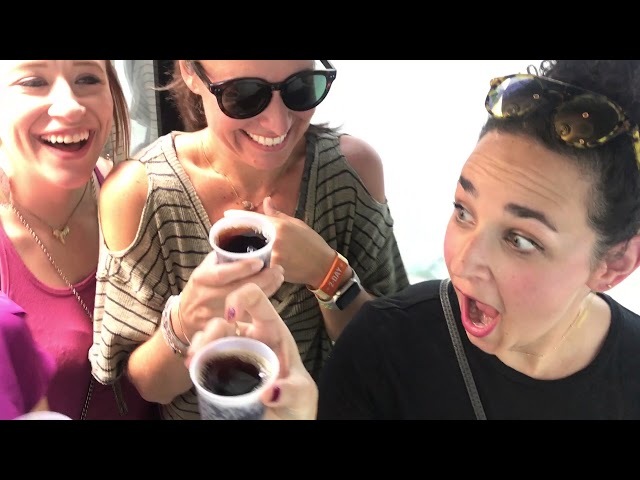 Earlier this month, Coca-Cola kicked off a national sampling tour for the new Coke Zero Sugar, inviting people across the country to give the delicious, zero-sugar Coca-Cola a try. But you can’t just try the improved Coke Zero Sugar any old way – the brand is introducing a fully immersive, monosensorial tasting experience. You step inside an interactive kiosk that looks like a life-size vending machine. Three high-definition video monitors inside the kiosk choreograph a visual, auditory and tactile experience as if you’re inside a glass of Coke Zero Sugar. First, it isolates and heightens each sense of sight, sound, smell and touch. Then, it removes them one by one until it’s just you and your ice-cold Coke Zero Sugar. At that moment, you 'zero-in' and taste it. Mmmmm, delicious! You open the door and step back into reality – this time feeling cool and refreshed. Of course, it’s time to share, so you find your personalized tasting GIF and post it on social media or text it to your friends for all to see. From the tour launch at the World of Coca-Cola college football tailgate to recent stops at Music Midtown, the ESPN College GameDay set and more, thousands of people are already getting the chance to try the new Coke Zero Sugar. Many are cheering the taste, with one visitor stating, “When I heard Coke Zero was being changed I was upset, but this is actually a welcome change. It tastes really good." While some are excited by the news, we know some may still be skeptical. So, the only way to make you believe is to try it yourself. Check out the full schedule of more than 300 stops here and see if the zero-in tasting experience is coming to an event near you soon. Sampling cups of Coca-Cola Zero Sugar are offered to guests to take inside the zero-in tasting experience. Two friends register on the touch screen before stepping inside the interactive kiosk. A Coke Zero Sugar brand ambassador guides a group of friends into the monosensory chamber before the experience begins. A camera captures the Coke Zero Sugar zero-in experience for you, so you can focus on tasting before sharing your personalized tasting GIF on social media. The zero-in tasting experience gives festival goers a quiet moment to focus on the taste of Coke Zero Sugar. Coca-Cola Zero Sugar fans enjoy cold bottles of the new beverage at the official launch party. Regardless of what team they cheer for, these fans can both agree that Coca-Cola Zero Sugar is No. 1!